The mood music in much of the Scottish press is that it’s all doom and gloom for the No campaign, and that “momentum” is building in favour of a Yes vote in September. Some of my Nationalist friends are making the basic political mistake of believing their own propaganda and are beginning to lose their heads. One even wrote to me last weekend suggesting that it was time I self-administered some Hemlock. Such a lovely thought, that even one’s friends wish upon their political opponents the curse of suicide. Never has it been more important to remember that we Unionists will win this referendum campaign by being the reasonable ones. Let the petty Nationalists trade in poison. The one thing we won’t do is to win the argument by descending to their gutter level. So … time for a cool, hard-headed and clear-eyed analysis of why it is that the media mood has turned up the heat on the No campaign. The Labour party’s latest proposals for further devolution. 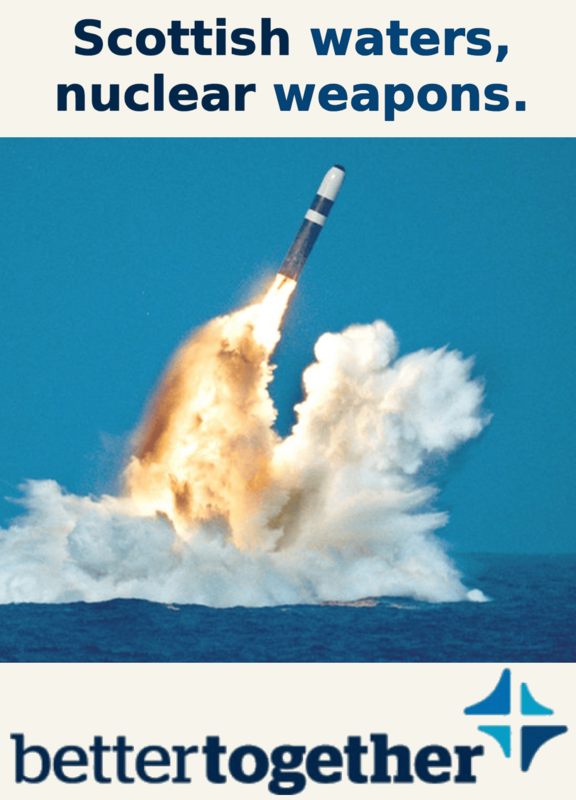 Tensions within the Better Together campaign. The idiot rogue minister who told the Guardian that there could be a currency union between an independent Scotland and the rest of the UK. Professor Adam Tomkins, said a separate Scotland would only keep UK assets located in Scotland. Scotland would have no claim on a share of assets like military bases and embassies outside its territory. He said Scotland would be entitled to a share of all liquid assets, as well as debt. But if the UK splits into its constituent parts then Scotland and England are the result (as the UK is a treaty joining the countries), no treaty, no UK . No Continuator State. At the ending of the treaty England and Scotland, the new countries would be entitled to a fair share of the former UK’s assets. 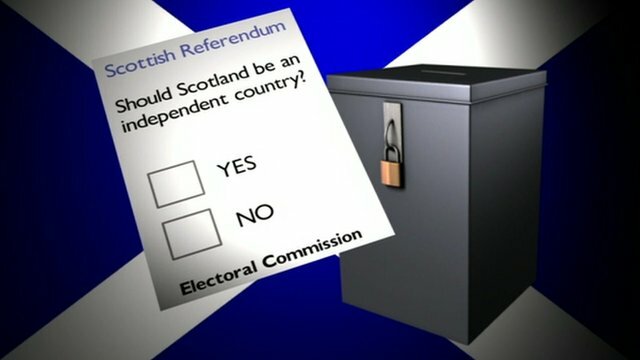 20 July 2014 – Adam Tomkins – I am being forced to choose … would I want to stay in an independent Scotland as a No voter? It is not difficult to tell which side Adam Tomkins is taking in the independence debate. The professor of public law at Glasgow University is sporting a wristband from the pro-union campaign Vote No Borders, while his office in the university’s law school is adorned with a “No thanks” postcard and large Team GB union flag. On his website he describes himself as one of the leading constitutional law scholars in the UK and he’s certainly one of the leading voices arguing the union’s case on the internet. He does so under his own name on Twitter and in various blogs, and he is the force behind Notes From North Britain, the website which bears the tagline “Confessions of a Justified Unionist”. That said, the pro-union space on the internet is not exactly crowded. There are no pro-union campaigns on the web to rival those of independence supporters such as Wings over Scotland. Tomkins had 3385 followers on Twitter. 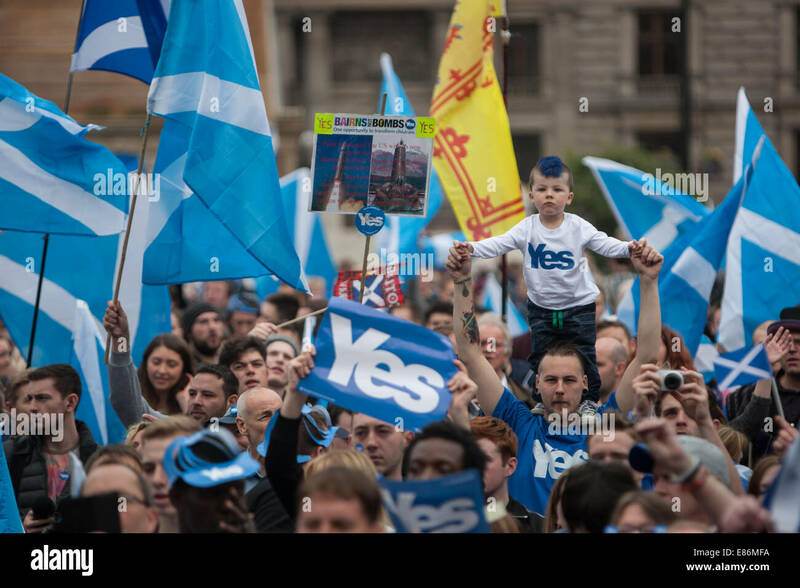 Wings Over Scotland had 15,200, and fellow independence supporter Bella Caledonia had 16,300. Tomkins has been involved in various aspects of the independence debate, including advising the UK Government on legal issues surrounding independence as part of an informal group of lawyers put together by Advocate General Jim Wallace. He was one of two independent advisers to the Strathclyde Commission – the Conservative review of how Scottish devolution should work – and has written a series of blogs for Vote No Borders tackling topics such as such as the legal and political “realities” of what independence would mean. ‘For me Scottish independence means putting an international border across my country. My country is Britain.’ And there, ladies and gentlemen, is the definitive statement of Unionism in this whole campaign. It comes, not from a BNP online nutter, but from one of the most esteemed Unionist commentators in the debate, the Professor of Public Law at Glasgow University, Adam Tomkins. Tomkins was hailed by Angus Macleod, Scottish editor of the Times, as the best brain on the subject when he opined against Holyrood having the powers to stage a referendum. He was chosen as the key adviser on the constitution by Ruth Davidson when she set up her devolution commission. He is adviser to the House of Lords Constitution Committee. He is commentator of choice for the BBC on legal issues surrounding independence. Adam Tomkins, a pro-UK constitutional lawyer and adviser to the Tories, said that Sterlingisation would raise significant problems for Scotland’s entry to the European Union, because currency stability is an essential requirement for new member states. He said any doubts about Scotland’s long term currency and its failure to have its own central bank would raise significant questions about its ability to meet the EU’s legal tests for new member states. “This doesn’t mean that an independent Scotland can’t become a member of the EU; it means that an independent Scotland’s negotiations would be more difficult,” Tomkins said. He claimed that using sterling informally, a policy known as “sterlingisation”, would require Scotland to have its own financial authorities, use international banks to lend, and to have its own central bank rich enough to bail out Scottish financial institutions in an emergency. Crawford Beveridge insisted that Scotland had several viable options for its currency, and could refuse to carry forward any of the Bank of England’s debt after independence, if UK ministers vetod a sterling pact after a yes vote. He said the country could comfortably use sterling without a formal deal, or move to set up its own currency as an alternative after independence. He added that if “politics trumped economics” and the UK rejected a formal sterling pact, an independent Scotland would have the right to pay much less of the UK’s historic debt – or none at all. “There are many other viable options so I’m not that worried about currency, because every other country has one and we’re going to have one too,” Beveridge said, accusing UK ministers of “posturing” over a currency deal. Comment: Tomkins view of Scotland and the EU demeans his status as an expert in contitutional Law. The European view would take precedence. The former Chief of Staff of the French Minister for European Affairs, Yves Gounin, argues that the independence of Scotland would not cause their immediate expulsion from the European Union but neither could it result in their automatic inclusion. Gounin states that a political negotiation should be undertaken; it would be “the most realistic” approach, he says. Therefore, according to this study published in the journal Politique Étrangère, “the most reasonable” would be to negotiate independence and the EU membership at the same time; therefore the implementation of EU Treaties would not be interrupted at any moment. Gounin underlines that there are legal and political arguments to defend that an independent Scotland would not be expelled from the EU. He argues that, according to European jurisdiction, the EU is also a union of citizens. He also discusses the founding principles of the EU (such as freedom and democracy), the obligation to negotiate a Member State’s withdrawal from the EU and the “interior enlargement” concept. In this study, the French expert in EU affairs analyses the succession of states and their effect on international treaties. He assumes that the United Kingdom would be the “continuing state”, while Scotland would be the “successor state”. However, the United Kingdom has not signed the 1978 Vienna Convention on Succession of States in respect of Treaties. Gounin concludes that, while Scotland would have to be recognised by the United Nations, he also believes that, regarding the EU, the issue has to be resolved following the EU’s own rules. However, there are no precedents of such case within the EU, since the withdrawal of Greenland from the Union, which continued to be part of Denmark, is not applicable. The former Chief of Staff of the French Minister for the European Union highlights that EU Treaties do not explicitly deal with the issue of secession within a Member State and the membership status of such part. Therefore, the matter is open to interpretation. Gounin admits there are arguments to defend the necessity to reapply for membership but he also states they are neither “realistic” nor follow “common sense”. He points out that “Brussels” is traditionally not in favour of “state implosions” and that the European Commission has publicly stated that “if a part of a territory of a Member State is no longer part of this State, the [EU] treaties would no longer be applicable”. However, Gounin states that this legal argument is not absolute, since there are other legal and political arguments to be taken into account. In this vein, Gounin cites the report drafted by David Edward, who used to be the British Judge within the Court of Justice of the European Union between 1992 and 2004. Edward was rejecting Scotland’s automatic expulsion from the EU and was advising for negotiating independence and EU membership at the same time. The French expert firmly rejects the idea of placing Scotland in the accession queue. “Common sense prohibits assimilating Scotland to Moldavia, Montenegro or Turkey regarding their right to (re-)accessing the Union”. Gounin argues that is “not realistic” to imagine the return of border controls, the cancellation of EU fundamental rights for citizens or abandoning the Euro. In this vein, he backs the concept of “interior enlargement”, although he acknowledged that this concept is not defined in the treaties. However, this idea makes a clear distinction between states that are not part of the EU and therefore might not have their legislation in line with the EU and territories that are currently part of the Union, whose citizens are EU citizens and their laws follow European legislation. In addition, Gouning highlights the legal argument resulting from article 50 of the EU Treaty, which deals with the withdrawal of a Member State from the Union. A third argument presented by the former Chief of Staff of France’s European Affairs Department refers to “the founding principles of the Union: freedom, democracy, equality and rule of law”. Gounin emphasises that it would be “a paradox for the EU to deny the people of Scotland the right to self-determination or, to be more precise, by linking this right to the automatic expulsion from the Union, [which] decreases its effectiveness to zero”. On top of this, he points out that by doing so, the EU would in fact be interfering with the Member States’ interior policy, something it wants to avoid. By “vetoing” Scotland’s continuity within the EU, Brussels would completely interfere with the self-determination debate. Finally, “the strongest argument” to support the continuity of Scotland within the EU is that referring to the link between the Union and its citizens. The Court of Justice of the European Union stated that the EU is “a new” international law entity where “subjects are not only the States but also their people”. This makes the EU a completely different international organisation, since there is a European citizenry. Gounin points out that this dimension has been strengthened over time by numerous treaties and charters. 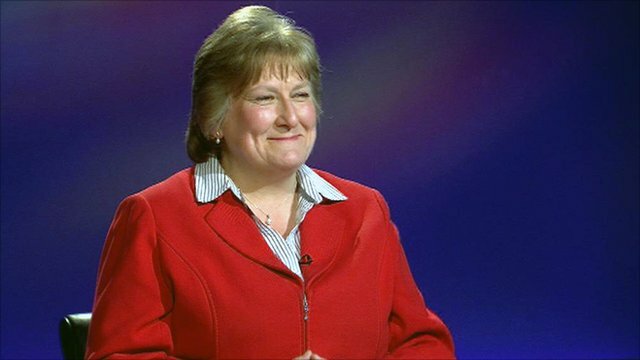 “Even though the European citizenship is added to the national” one and “it does not replace it”, the French expert argues that Scottish citizens could not have their EU rights taken away without seriously “harming” the case-law issued by the Court of Justice of the European Union and therefore damaging the EU’s legal and democratic principles. 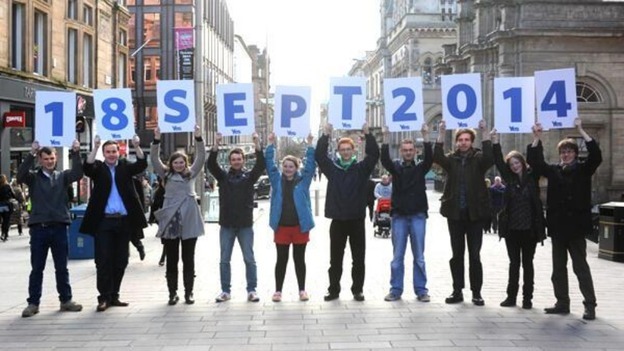 If there is a Yes vote in September, everything changes. The shock to the rest of the UK will be profound and the asymmetries of the country will be even more pronounced: England would constitute 92 per cent of the rest of the UK instead of its current 85 per cent. 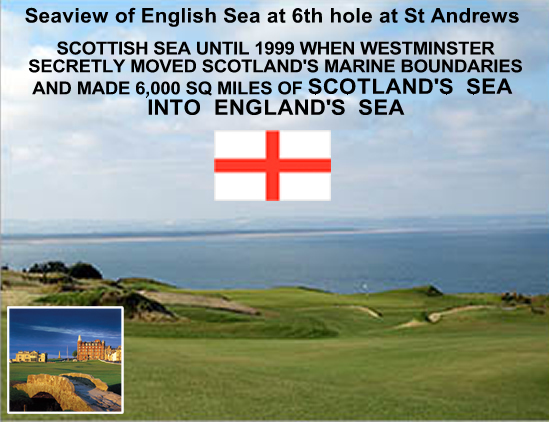 If there is a No vote this will mark Scots’ collective recommitment to the Union. But the Union would be foolish to react by breathing a sigh of relief and carrying on as if nothing had happened. The United Kingdom needs a sustainable solution to its territorial constitution: one that works for each of the four nations comprising the state, and one that works for the centre, too. Alex Salmond highlighted in his resignation speech, some of the guarantees made in Brown’s timetable already appear hollow – and if the grassroots activism of the continued “Yes” campaign is to have a role, then one must be to ensure that the British state stands by its promises of meaningful devolution. Cameron’s greatest fear was that he would go down in history as the man who lost the Union. However, the concessions he’ll have to make to save it may be seen among irritated Tory back benchers (http://www.independent.co.uk/news/uk/scottish-independence/david-cameron-faces-backbench-pressure-over-english-votes-for-english-laws-following-scottish-referendum-vow-9747266.html) as exactly that – losing the asymmetrical Union they know and cherish. I suspect that when the history of the Scottish independence referendum campaign is written neither of the official “designated lead organisations” will come out of it shining. Yes Scotland’s relationship with the Scottish National Party government in Edinburgh has been far too close. Their attempts to make the argument for Yes into a cross-party affair failed. In the final weeks of the campaign, Yes Scotland disappeared from the airwaves almost entirely, as SNP minister after minister dominated the TV debates (with Patrick Harvie MSP, co-convenor of the Scottish Greens, more or less the only non-SNP Yesser on prominent display). Away from the official Yes Scotland outfit, it is certainly true that the broader Yes movement has been cross-party, but that has had much more to do with the plethora of unofficial grass-roots groups (Women for Independence, National Collective, Common Weal, Bella Caledonia, etc) than it has had to do with the Yes Scotland leader, Blair Jenkins, and his team on Hope Street. Only 200 metres away, on another of the main arteries in Glasgow city centre, Sauchiehall Street, was the headquarters of Better Together. They had to bear a far greater load than their counterparts in Yes Scotland, for two reasons. First, the government backing them was 400 miles away and led by English Tories. And second, the No side of the argument never produced anything close to the range of grass-roots groups that so galvanised, energised and, indeed, mobilised the campaign for independence. Vote No Borders played its part, as did Working for Scotland and George Galloway’s “Just Say Naw” tour, but their contributions were neither designed nor able to match what was happening on the other side. 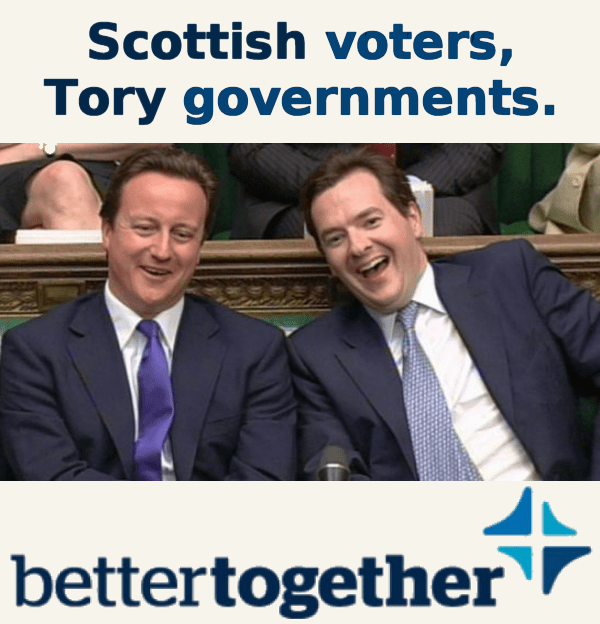 There are some things Better Together did brilliantly and some others where, as they say, lessons may be learned. Let’s do the opposite of how the campaign was so often perceived, and start with the positives. First, it should never be overlooked just how unusual a beast in British politics was the Better Together campaign. Even in this era of coalition government in London, can there have been co-operation in peacetime between Conservatives, Labour and Liberal Democrats of the kind we have seen here? Of course it was sometimes a bit rough. There were disagreements along the way. Yet these occurred as much within the parties as between them. 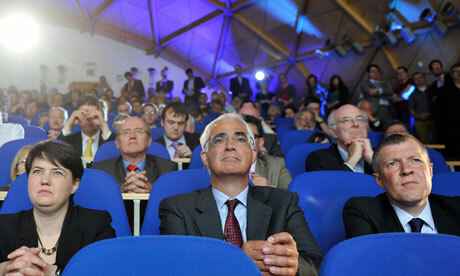 When it was stormy, the calm authority of Alistair Darling anchored the campaign. He may not be the most florid orator, but he had a steady determination and no little steel and, in private, he showed warmth and remarkable generosity. There are few in the No camp more deserving of our admiration than he, whatever the result. What Better Together did well was to identify the problems with the independence proposals that were put forward by the SNP. Not that this was always very difficult. The No camp’s campaign was about: “What state do you want to live in?” It won that argument hands down. We want to live in a state that keeps the Queen, that keeps the pound, that keeps the UK’s EU membership (opt-outs and all), that stays in Nato and that retains a social union across the whole of Britain. The nearer polling day drew close, the less the campaign became about statehood and the more it became about policy, from child poverty to social justice, from Gaza to Iraq, and from health service “privatisation” to the bedroom tax and welfare reform. The idea of Yes became a rhetorical vessel into which you could pour all your hopes and aspirations, all your fears and frustrations. What do you want? Vote Yes and you can have it. What’s wrong? Vote Yes and it will go away. Comment: The letter was published one day before the referendum vote. Clearly Tomkins thought Better Together had lost the argument. Scotland voted No to independence. In answer to the question, ‘Should Scotland be an independent country?’, 1,617,989 voted Yes (44.7%) and 2,001,926 voted No (55.3%) in a massively impressive turnout of 84.6%: the highest ever anywhere in the UK in post-war times. The result, and campaign, will be rightly mulled over and analysed for years, but in the fast moving aftermath it is important to lay down some thoughts and calm-headed thinking. Scotland has changed and shifted in how it sees itself and its future, as a political community, society and nation. 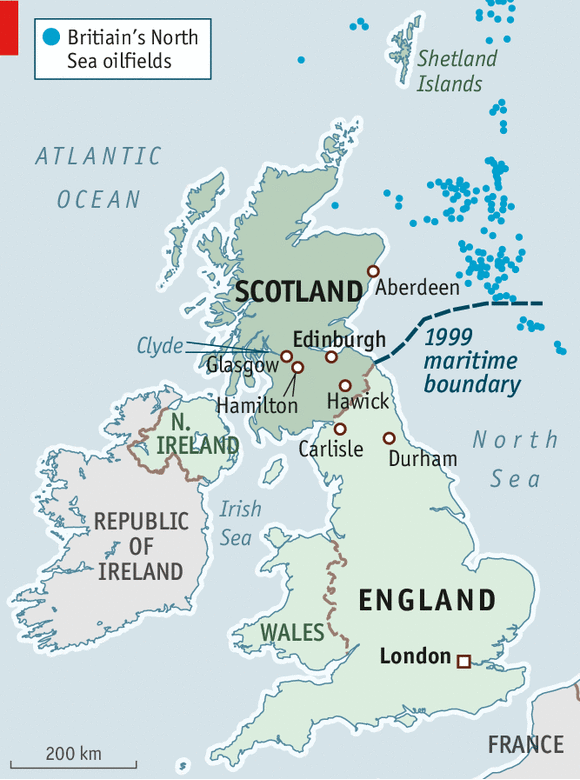 Crucially, how others in the rest of the UK and internationally see Scotland, has dramatically and permanently moved. In a letter written by the party’s two nominees – Prof Adam Tomkins and constitution spokeswoman Annabel Goldie MSP – the party sets out a vision for reform rooted in the principles of “responsibility, transparency and accountability”. The letter makes clear the party’s commitment to deliver on pledges made prior to the independence referendum to deliver more power to Holyrood. The party’s clear policy, they add, is to ensure the Scottish Parliament is responsible for setting the rates and bands of personal income tax. A share of VAT should also be assigned to Edinburgh, the letter confirms. “We stand by the recommendations and analysis of the Strathclyde Commission. We regard its recommendations as a starting point for further discussion – as a floor rather than a ceiling. It remains our clear policy that the Scottish Parliament should be responsible for setting the rates and bands of personal income tax for Scottish taxpayers and that a share of VAT receipts should be assigned to the Scottish Parliament. 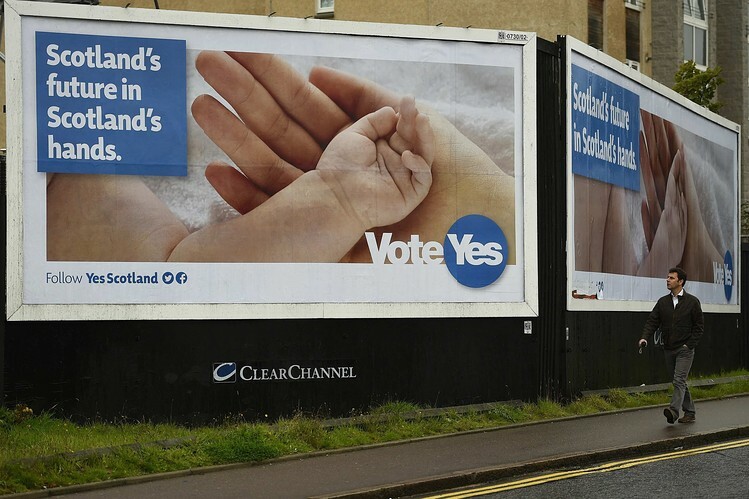 23 October 2014 – One by one the consequences of a No vote are coming home to roost with extraordinary predictability. The Smith Commission, pictured in the Scotsman squeezed into what looks like a small glass shed boasts all of the talent of Annabel Goldie and Tavish Scott, alongside the egregious Adam Tomkins who managed to squeeze the most contorted and bizarre nonsense about ‘ethnicity’ into his commentary over the past year. His blog ‘Notes from North Britain’ (sic) of August 29 railed against the idea that Scotland – with 1% of the population and 60% of the oil / 25% of the renewable resource – would be allowed to stay within the EU. 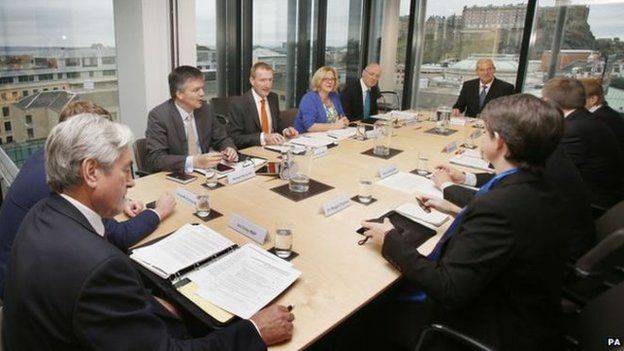 30 November 2014 – Hard talk, hokey cokey and a naked Tory…welcome to Scotland’s future. In the end it didn’t go down to the wire. One negotiator at last week’s Smith Commission talks offered a wry smile: “The wire was eight o’clock, we walked out of the room at 10 to eight.” But after weeks of bargaining behind closed doors and, frustratingly for the media, with barely a leak about what was going on, the story of what went on is beginning to be told. The SNP were first to break the consensus with John Swinney criticising the package agreed very shortly after putting his name to it. And that has brought forth a tide of niggles, nuggets and naked Annabel Goldie stories as each party jostles to claim credit for what was produced. It’s worth looking first at whether the Smith Commission proposals are worth claiming credit for. Hogging the headlines are the steps on income tax and welfare. Scotland will get the power to set income tax bands and will collect what’s raised in Scotland. The power to set the tax-free allowance remains with Westminster, though Holyrood can vary it upwards by setting a 0% band which would have the same effect. For all that it looks like a grand gesture handing Scotland control of income tax, there are sceptics. Professor David Bell of Stirling University and part of the Centre for Constitutional Change explained: “The most likely outcome is Scottish income tax rates will mirror those set at Westminster in the short-term and not move significantly away.” He says a 1p increase in income tax would raise around £400 million. In the grand scheme of things that won’t pay for a lot but it will lose a lot of voters. Professor Bell added: “Politically, it’s become very difficult to change the rate of income tax. It has only reduced over many years. And you have to ask how different the Scottish electorate really is to the rest of the UK. The losers from any tax change make more fuss than the winners.” However, Professor Bell believes the welfare changes are significant. And that part of the agreement was one of the most hotly-contested. The power to create new benefits has been dubbed the “hokey cokey clause” as it was often in the agreement and then back out again. The Conservative team of Annabel Goldie and constitutional lawyer Adam Tomkins infuriated their fellow commissioners by constantly shifting position, apparently at the behest of Iain Duncan Smith and George Osborne in Westminster. One opponent called them The Grand Old Duke and Duchess of York. As negotiations became increasingly heated in the final days a break was called at one point in order to try and pin down the Conservative position on whether all elements of the new Universal Credit including unemployment benefits were up for discussion. A so-called “coffee break compromise” was drawn up, only for the Conservatives to trash it soon after on the orders of Westminster. But that then left them with little room to manoeuvre when it came to granting Scotland the power to create its own benefits, essentially giving Holyrood the power to create a separate Scottish welfare system as long as they can raise the money to pay for it.